BNP chairperson Khaleda Zia said on Sunday the opposition can exist out of parliament if the party works for people’s welfare. She told this during a hearing of the Niko graft case at Dhaka Special Judge’s Court-9, a makeshift court set up inside old Dhaka Central Jail in the capital. Earlier around 12:20pm, Khaleda who is now serving jail term after being convicted in two graft cases, had gone to court by a wheel chair. After a hearing on the discharge petition, Judge Sheikh Hafizur Rahman of the Dhaka Special Judge Court-9 adjourned the hearing till January 21 in the case. BNP secretary general Mirza Fakhrul Islam Alamgir was also present and talked to Khaleda. The other accused are AKM Mosharraf Hossain, former state minister for energy, Kamal Uddin Siddique, former principal secretary to prime minister, Khandaker Shahidul Islam, former acting energy secretary, CM Yousuf Hossain, former senior assistant secretary of Energy and Mineral Resources Department, Meer Moynul Haque, former senior general manager of Bapex, Shafiur Rahman, former secretary of Bapex, Giasuddin Al Mamun, managing director of One Group, Selim Bhuiyan, chairman and managing director of International Travel Corporation, and Kashem Sharif, vice-president (South Asia) of Niko Resources Bangladesh Ltd.
On December 9, 2007, the ACC filed the case with Tejgaon police station against Khaleda Zia and several others on charge of abuse of power by awarding a gas exploration and extraction deal to the Canadian company, Niko, during her tenure as prime minister between 2001 and 2006. 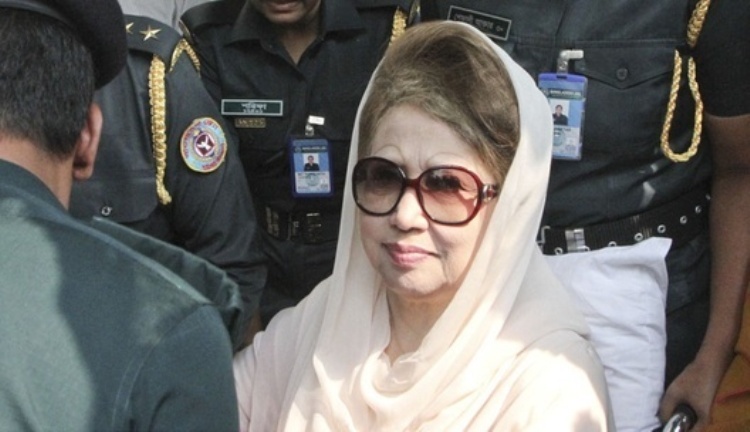 In May 5, 2008, the anti-graft watchdog submitted the charge sheet against Khaleda and 10 others in the graft case. Two months later, the High Court stayed the proceedings of the case following a petition filed by the BNP chairperson. Following an ACC move, on June 18, 2016, High Court cleared the way for resumption of trial proceedings.